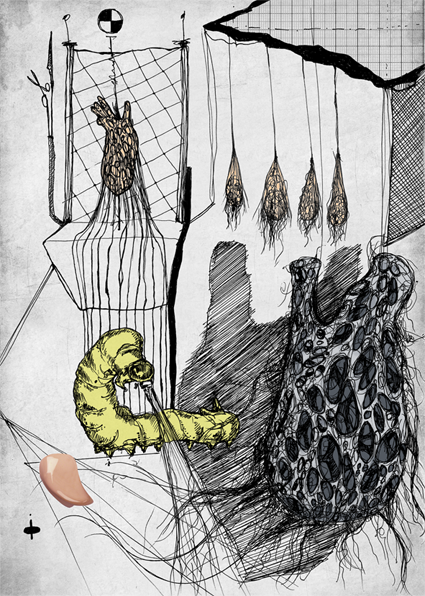 If genetically modified silk worms could weave the scaffold for your donor heart instead of a machine — what would you prefer? The silkworm Bombyx Mori has been domesticated for more than 5000 years, but its genetic code has been fully sequenced since the year 2008. 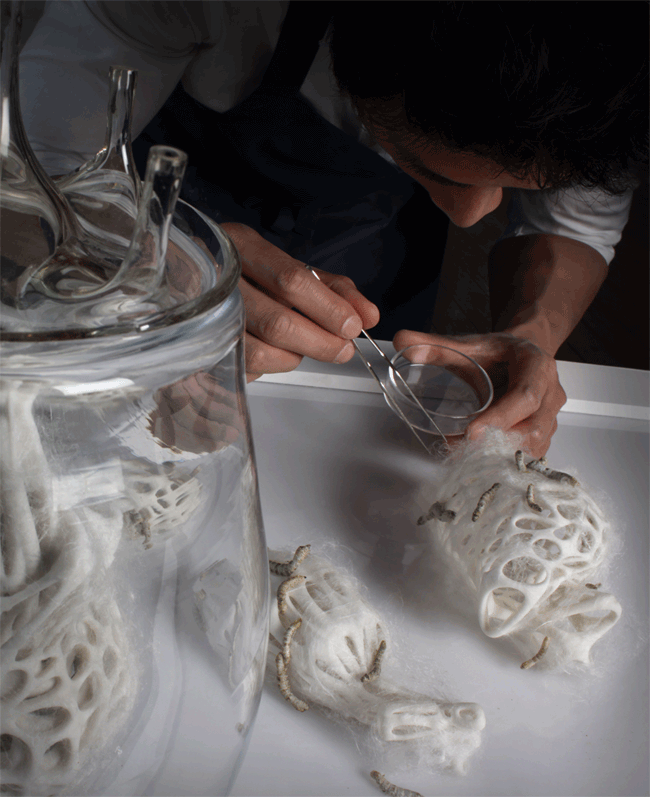 Instead of weaving their cocoons, a genetically re-programmed sericulture could weave biodegradable scaffolds for organs, tissues, biosensors and even products — it could shift our understanding of industrial and biotechnological manufacturing from ‘hardware’ to novel ‘wetware’. As cardiovascular diseases are globally number one cause of death we are facing an increasing scarcity of donor hearts. The current focus on artificial organ technology lies on 3d- printing and machinic production, straight in line with technological determinism. But does dealing with living material not afford a more humane way of production? What options does biotechnological fabrication offer, other than its imminent material qualities? Organ Crafting exemplifies an alternative scenario, built around fears and facts of the patient when awaiting and receiving a donor heart. Branching material properties of silk into the social realm, we can rethink current organ replacement technologies, the crude procedure of surgery and aftercare, as well as the surrounding supply system. 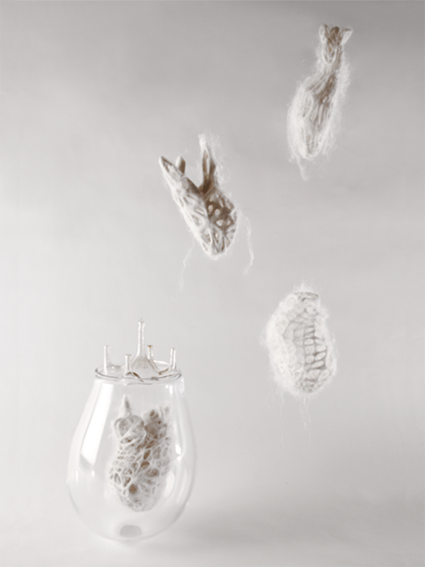 If our very inner would be made by silkworms and skilled biotechnologists, what would be the potential impact on our relationship with the inanimate world? What happens to the self when we begin to perceive ourselves as a system of interchangeable parts? A patient's visit to the Organ Craftsman's studio allows him to examine the commisioned organ and to get to know the artisan. Instead of weaving their individual cocoon, the silkworms are programmed to weave collectively the matrix for a donor heart. The silken scaffolds are waiting to be brought to life.